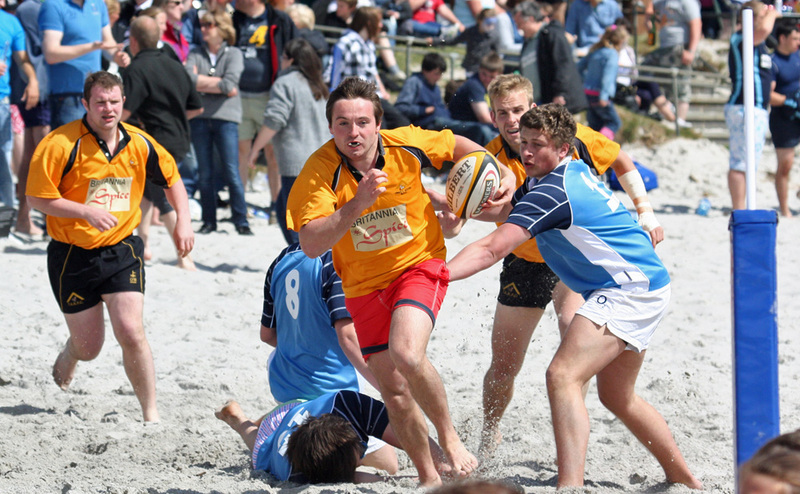 I’m not sure from which year this is, but it was one of the games in an Islay Beach Rugby tournament a few years ago. I think the team in blue was of Kilchoman distillery, unfortunately don’t know where the other team was from. The team in yellow are Trinity Academical. Won the plate this year 2014 and bowl previous year.